• Why do I need an air purifier? • What is the difference between the Summit & Cloud? • Are your air purifiers simple to operate? • Why are so many stages of purification needed? • How often should I run my air purifier? • Will your air purifiers work on my whole house? • Which features should I run daily? • What is the maximum coverage for each unit? • Are your air purifiers cheap to run? • Where is the best location for my air purifier? • How quiet are your air purifiers? • Are multiple air purifiers better for severe allergies? • How big is each purifier? • What does the Sterilization feature do? • Do the filters need to be replaced? • What does the Anion feature do? • Which two filters are washable? • How do I use the PURIFY feature? • Which two filters are to be vacuumed only? • How do I use ozone safely? • How often should I clean each filter? • Is ozone required to eliminate smoke odor? Click on a Question Above to Quickly Navigate to the Respective Answer.Click on a Question Above to Navigate to the Answer.Click a Question to Get to Answer. Why do I need an air purifier?A:If you or a family member suffers from allergies, headaches, fatigue, or dry / irritated eyes, then a Rocky Mountain Air® purifier just might be the solution you are looking for. According to the EPA, we Americans spend 90% of our time indoors (on average) breathing air that is 2 – 5 times more polluted than the air outside! So, now is the time to bring air as fresh and clean as the Rocky Mountains into your home! Why are so many stages of purification needed?A:Each of the different stages of air purification are designed to effectively address 99.99% of your air quality issues from multiple angles to deliver comprehensive results. 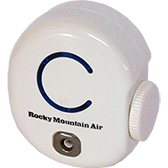 Rocky Mountain Air® purifiers destroy odors, viruses, bacteria, VOC's, mold spores, mildew, and toxic fumes. Our air cleaners are also able to eliminate pollen, dust, allergens, and pet dander. Each unique method of purification plays an important role in our multi-stage filtration that produces the results you are looking for – fresh, clean air for you and your family. What is the difference between the Summit & Cloud?A:The Summit has one more stage than the Cloud called PURIFY. With the touch of a button, the PURIFY feature uses ozone to eliminate tough odors like smoke while also eliminating mold, viruses, and bacteria throughout your home or office. The PURIFY feature is customizable and allows you to adjust the trace levels of ozone emitted or turn ozone off completely. Will your air purifiers work on my whole house?A:Each air purifier can provide fresh and clean air up to 3,500 sq. ft. of space on a single level of your home or office. Multiple floors will require multiple units. Be sure to place the unit as high as possible for maximum effectiveness. What is the maximum coverage for each unit?A:Each air purifier can provide fresh and clean air to 3,500 sq. ft. of a single level of your home or office. Where is the best location for my air purifier?A:For best results, place your air purifier in the room you spend the most time in or at the source of the issue. Position the purifier as high as possible, such as on top of a refrigerator or bookcase. For a more direct approach, consider using more than one unit. Are your air purifiers simple to operate?A:Yes, our Rocky Mountain Air® purifiers are simple to use. At the touch of a button, all features may be individually adjusted or turned on or off. Most customers set the features once, and allow our purifier to continuously run to effectively purify the air. How often should I run my air purifier?A:Each air purifier by Rocky Mountain Air® is built to last. Run continuously, 24 hours a day and 7 days a week, to keep the air you breathe as fresh and clean as the Rocky Mountains. Which features should I run daily?A:The Sterilization (activated by the Germicidal UV lamps) and Anion features should be run daily. These features can be turned on/off at the push of a button. We recommend running these features continuously – 24 hours per day, 7 days per week. Are your air purifiers cheap to run?A:Our air purifiers cost 6 cents a day to run, on average, when operating 24 hours a day, 7 days per week. How quiet are your air purifiers?A:Rocky Mountain Air® purifiers produce very little sound. When running on the highest fan setting, each unit produces about the same amount of noise as a quiet library (38 decibels). At night, you can activate the SLEEP mode to dim the display and reduce the sound of the fan. How big is each purifier?A:The Summit, Summit PLUS and the Cloud air purifiers measure 14"H X 11"W X 14"D. Each air purifier weighs approximately 17 lbs. and is solidly built to comprehensively address your air quality needs. Do the filters need to be replaced?A:On average, the dual Ultra-Violet lamps, ozone plate (Summit & Summit PLUS models only), and all other filters will need replaced about once a year. If your air purifier is being used to address smoke, or other aggressive contaminants, each filter may need to be changed more frequently. Filters should be cleaned periodically throughout the year. Which two filters are washable?A:Only the Dust/Debris Pre-filter and HEPA filter may be immersed in water (Note: Filters must be thoroughly dry before re-installation). Which two filters are to be vacuumed only?A:The Carbon and Photo-Catalytic (PCO) filters may be vacuumed using the brush attachment and/or wiped with a lint-free cloth -- Do NOT immerse the Carbon and PCO filters in water. How often should I clean each filter?A:When you first receive your air purifier, we recommend checking your filters every 30 days to determine the cleaning interval perfect for the environment you live in. Are multiple air purifiers better for severe allergies?A:Yes. About 30% of our time at home is spent sleeping. An air purifier in the bedroom will directly address issues that may keep you from breathing easy throughout the night. Many customers enjoy the white noise of the fan to fall asleep. If you are a light sleeper, use the SLEEP feature to dim the display and quiet the fan. What does the Sterilization feature do?A:The Sterilization feature (UV) kills 99.9% of microorganisms it comes in contact with, such as viruses, bacteria, mold spores, and mildew. UV also activates the Photo-Catalytic (PCO) filter to trap and destroy cleaning & chemical smells, paint fumes, cooking & pet odors, and other VOC's. What does the Anion feature do?A:The Anion feature forces particulates in the air to become heavy and drop to floor, safely removing dust, dander, and allergens from the air you breathe while reducing airborne contamination. How do I use the PURIFY feature?A:The Summit and Summit PLUS air purifiers provide an additional stage of purification – the ozone feature. At the touch of a button, you can turn the PURIFY option on/off and choose from five (5) levels of intensity to customize the amount of ozone being produced. We highly recommend the periodic use of this feature to eliminate strong odors such as smoke and destroy mold, mildew, viruses and bacteria. How do I use ozone safely?A:When using Ozone to eliminate strong odors, be sure to only activate the PURIFY feature for while you're away and at the appropriate levels for your sq. footage. Set the purifier's convenient timer to shut off the PURIFY feature a minimum of 30 minutes prior to your return. Is ozone required to eliminate smoke odor?A:Yes, only Ozone Purification, offered in our Summit and Summit PLUS air purifiers, will eliminate smoke effectively.